Products, Made in Europe - Direct Alpine s.r.o. 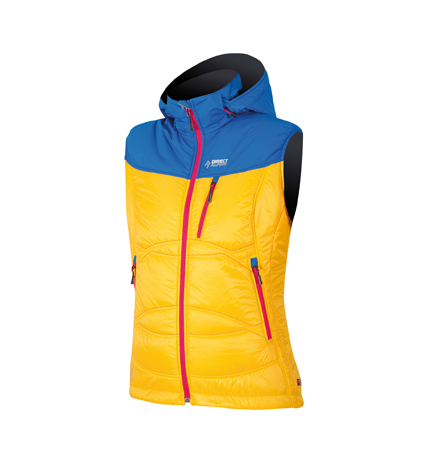 Sport women‘s vest with excellent Primaloft® insulation. 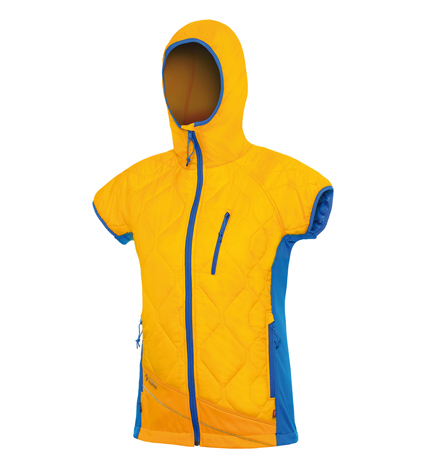 Material used for shoulders and hood with increased protection against wet snow or light rain (Pertex -Endurance). The precise anatomical cut, very low weight, pleasant softness, drape and excellent compressibility makes this a model for improved thermoregulation during all activities. Can be compressed and stowed in the hood. Finally, just what you‘ve been waiting for! A hot new arrival! 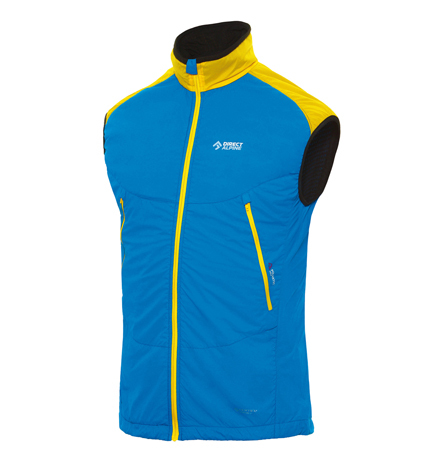 We‘ve got so many great winter vests to offer you. Every active lady will feel more comfortable and at ease in this model, even on the coldest days. 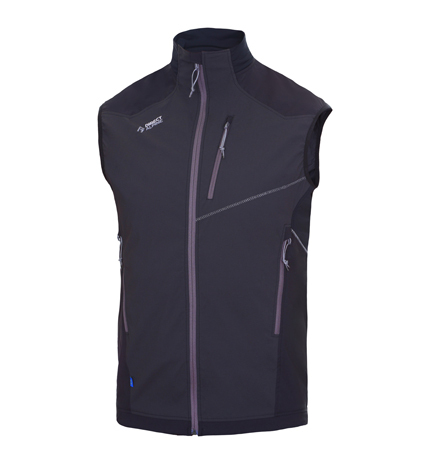 Just like the whole BLOCK range, this vest makes use of a functional hybrid combination of two types of insulation. 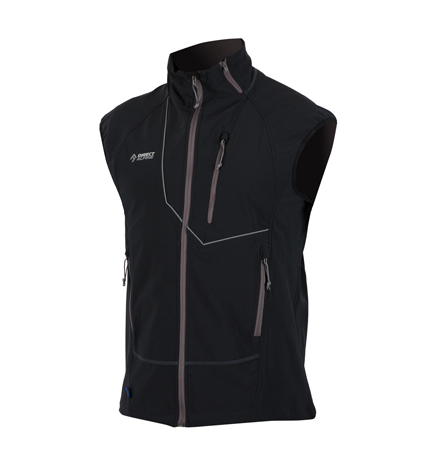 The anatomically cut body of the vest is created from an interestingly quilted outer material, Pertex Quantum Air, and an inner layer of PrimaLoft Silver. In this way it perfectly protects the central part of the body and, thanks to the extended shoulder parts, also right across the shoulders. The sides are from a light elastic material, Technostretch, which perfectly adapts to your base layer clothing and is highly breathable. The Bavella is suitable for both sports and trips to the countryside as well as for ordinary everyday wear about town.